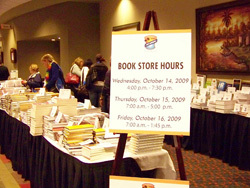 Order top HR books, DVDs, software and more online at www.shrmstore.org and receive FREE shipping! * Simply enter promo code WI16 at checkout to receive this special offer from the Wisconsin State SHRM Conference. ***Domestic Ground Shipping. Minimum purchase of $25. Does not apply to purchases of the Learning System. 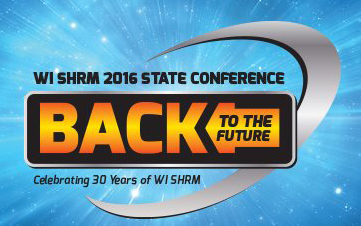 We are proud to announce that we will be having the SHRMStore at the WI SHRM State Conference again this year. The SHRMStore is the world's largest collection of HR books, videos, software, web subscriptions, and DVDs, the SHRMStore is an important way to compliment your conference experience and continue your learning after the show. Plus, look for over 50 books approved for credit! The store is open for the entire duration of the conference to make shopping convenient. Wednesday, October 5: Noon – 7:30 p.m.
Thursday, October 6: 8 a.m. – 5 p.m.
Friday, October 7: 7 a.m. – 2 p.m.
Visit this site for updated book signings! If you have any questions or would like to make a book suggestion for Wisconsin Conference, please email us at shrmstore@shrm.org. Join the SHRMStore mailing list and receive the SHRMStore’s weekly newsletter. Plus, follow us on Twitter @shrmstore to receive special Wisconsin Conference attendee-only discounts!